The Last Kingdom has been renewed for a second season on BBC America. The network has not confirmed the renewal, but the author of the books that the series is based on posted the news on his Twitter recently. So there WILL be another series of #TheLastKingdom The adventure doesn’t end! While no word has officially come from BBC America, TV Series Finale previously reported that the executive producer of the series, Gareth Neame, was already planning the plot of the second season. Season one of the series ended in November. Are you a fan of The Last Kingdom? Are you ready to watch more of the series? Tell us what you think. More about: The Last Kingdom, The Last Kingdom: canceled or renewed? Best acting I have seen in a long time. The story is awesome too. Great work Netflix. Oh I need many more episodes of this show. 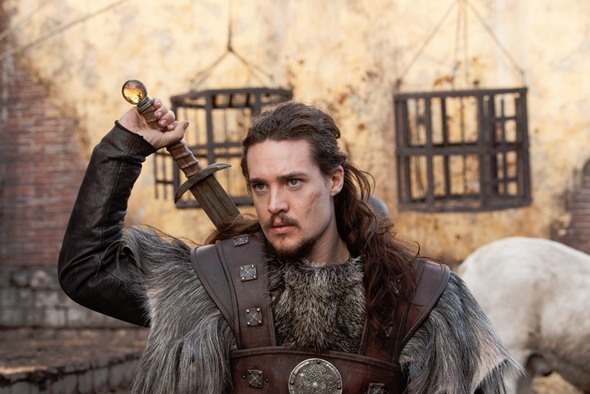 Uhtred, Son of Uhtred is just too too good! I was able to see both seasons on Netflix. The actors are fantastic. They bring their roles to life and you almost feel like you are there. From the wars to the love scenes you are on the battlefield or looking into the eyes of your favorite lover it’s worth watching. Love the series! Want to see season 3! It is as good or better than game of thrones. CAN NOT WAIT FOR SEASON 2 !!! Please be soon ! I have read these books, they are exceptional and this series is wonderful. We are so happy to know there will be a season two! Great blend of fascinating characters, history, storyline. A lot of unresolved issues that should appeal to fans! I really liked it! Can’t wait for season 2. When will the 2 season start? Can hardly wait for the next season to begin. Off to find the sister and what happens next?????? This was the most addicting series I’ve ever watched. The acting, the scenery amazing. Can’t wait for season 2. I have just finished streaming the first season and I hope there is more to come. I like this better then Vikings.